Energy policy constraints prevent energy giants South Korea and Taiwan from reaching the 81% global average capacity factor for nuclear power plants. When South Korea first unveiled its plan to build two advanced nuclear reactors in the sleepy southern village of Yeongdeok, the project was warmly welcomed by locals who believed that the plant would revitalise the county’s flagging economy. Now, barely seven years after the plan was first tabled, a dramatic shift in public sentiment has pushed the state-run Korea Hydro and Nuclear Power Corporation to scrap the ambitious project. South Korea’s experience is not unique among its East Asian neighbors, such as Japan and Taiwan. Most countries are close to the global average capacity factor of 81%, according to data from the World Nuclear Association. The two exceptions are Taiwan and South Korea, where output is being constrained by energy policies in those countries. The nuclear sector’s woes are keenly felt in Taiwan, Asia’s fifth largest nuclear power market in terms of installed capacity at 3,844MWe. “There are currently no new projects in the pipeline. Similar to South Korea, the incumbent Democratic Progressive Party has pushed for a nuclear free energy policy following their victory in the 2016 elections,” Su highlighted. Unlike South Korea, however, the government’s stance has been met with opposition, as a referendum held in November 2018 revealed strong public support for usage of nuclear power in the country. 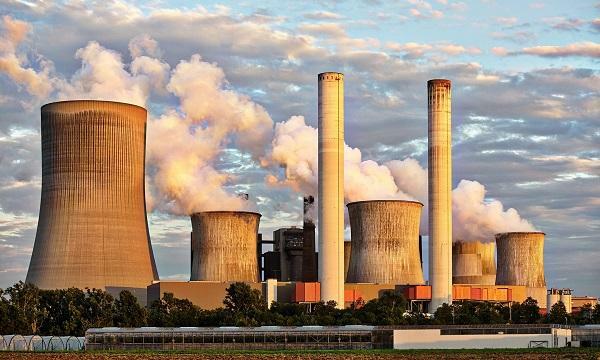 According to Jonathan Cobb, senior communication manager, World Nuclear Association, the results of the referendum show that there is serious public concern about pollution from coal. “Over 76% voted in a referendum opposing an expansion of coal capacity, against the government policy. In addition there have been problems with power cuts due to a lack of generating capacity, closing nuclear plants can only exacerbate that problem,” he noted. Su added that whilst the government has since reversed its commitment to phase out nuclear energy by 2025, the move was likely done only to uphold the results of the referendum and to appease the electorate ahead of the 2020 General Elections. “We believe that new nuclear projects will be difficult to implement in such a political environment and we remain negative on outlook of Taiwan’s nuclear power construction sector,” Su said. There are also a number of new nuclear facilities developed in the region that use third generation reactor technology, which improves safety but also adds complexity and cost to nuclear plant development. Third generation reactors that are operational or under construction include the APR-1400 (South Korea), CPR-1000 (China), ABWR (Japan), HPR-1000 (China). In Japan, Fukushima’s long shadow will dampen the industry’s prospects for years to come. Daniel Brenden, senior power & renewables analyst at Fitch Solutions, noted that there are various structural hurdles which will prevent the sector’s recovery in the near future, such as the lack of political support and the dearth of manpower. “First of all, the government will have to gain popular support for their plan to continue to rely on nuclear power over the coming decades, that would make the nuclear sector more attractive to people choosing their career path. As things stand, nuclear appears to face a structural decline in Japan, and with that perception, it will be hard to boost manpower,” he said. A fact-finding survey of Japan’s nuclear industry released by the Japan Atomic Industrial Forum (JAIF) revealed that only 53 people were added to Japan’s electric power utilities in FY2016-FY2017, marking the continued flat growth in hiring. 91% of industry players also consistently cited a decline in on-the-job training opportunities from FY2014-FY2018. Brenden added that whilst greenfield projects will not gain much traction in Japan, Japanese utilities will continue to invest in idled reactors in order to meet safety requirements. “Nuclear power has had the firm support of the Abe government since Fukushima, seeing as they have realized how important it is to the Japanese utilities and keeping the electricity price low,” he explained. Since the closure of the plants, electricity costs have skyrocketed and carbon emissions have surged. JAIF’s report noted that nuclear-related expenditures by Japan’s power utilities ballooned by $178.9m to $17.3b in FY2017. There continued to be a high ratio of industry players pointing to reduced sales (56%) and difficulties in maintaining and continuing their technological capabilities (58%) as adverse effects of nationwide plant shutdowns. Despite the headwinds facing their industry, Japan’s nuclear energy operators remain undaunted. “We, the nuclear operators, will be strong in our resolve to carve out the future for nuclear energy, and will strengthen our nuclear-related human resources development and technology development efforts and work tirelessly in pursuing safety and economic efficiency to prepare for the future construction of new, additional units and replacements,” said a spokesperson for the Federation of Electric Power Companies (Japan). Whilst other countries are moving away from nuclear power, China and India are enthusiastically embracing nuclear energy production. China is currently Asia’s leading nuclear power producer with 42.82GWe capacity. Fitch’s Power Team forecasted that the country will add another 62GW of nuclear generating capacity between 2019 and 2028. Fitch’s data showed that China is home to the largest pipeline of nuclear projects in the region, with 10 projects under planning and 16 projects at the tender or construction phases. “We observe an uptick in project activity, with the signing of a contract between state-owned China National Nuclear Corporation (CNNC) and Atomstroyexport, the engineering division of Rosatom, in November 2018 for the construction of units 7 and 8 of the Tianwan Plant in Jiangsu,” Su explained. “In addition, we note that China has been actively investing in the research and development of cleaner, more efficient nuclear power production, and has plans to develop the world’s first large-scale thorium-powered molten-salt reactors. Along with its long term goal in reducing greenhouse gas emissions, as well as to reduce its dependency on coal, these factors present upside risk to China’s nuclear sector which we believe, indicate positive long-term growth prospects for the Chinese nuclear power construction sector,” he noted. CNNC is also expected to spend $12b over the next five years in the procurement of raw materials, machinery and engineering. Further, supply contracts and service agreements have also been signed with Rosatom and Westinghouse Electric Corp. Cobb of the World Nuclear Association noted that key to China’s ambitions of becoming a significant player in the global nuclear energy technology business is the export reactors, focussing on the HPR1000 and CAP1400 reactor designs. “The first two overseas HPR1000 reactors are under construction in Pakistan. In the UK, CGN are first acting as partners in the construction of EPR reactors at Hinkley Point and Sizewell, with plans to follow this with construction of HPR1000 reactors at a third site at Bradwell. China has also signed agreements for potential future cooperation with countries such as Kenya, Egypt, Sudan and Kazakhstan and exploring potential projects in countries such as Romania and Argentina,” Cobb said. “One development to watch out for will be the start-up this year of the first of the four HP1000 reactors currently under construction in China. This will most likely be the Fuqing 5 unit in Fujian province. The successful start-up of the first reactor will give potential overseas customers confidence. It is also expected that authorization will be given this year for construction of the first CAP1400 in China, which will act as the demonstration plant of that design,” he added. Further, the Belt and Road Initiative has created opportunities for Chinese equipment exporters, including nuclear capacity. “However, according to our proprietary key projects database, a majority of technology exports has been in the form of coal and hydropower capacity – totaling 130GW of capacity. In comparison, we only have about 2.2GW of nuclear projects mapped under the BRI initiative. Whilst there still will be appetite for nuclear capacity in BRI markets, we believe only a handful of projects will progress, due to the high cost and complexity of developing nuclear power capacity,” Brenden noted. Although not on the same scale as China, Su believed that India will be another relative bright spot for nuclear energy in the region. “The government is pushing for higher nuclear capacity in an attempt to reduce air pollution. With eight reactors currently being under construction, we note positive progress in the short term. India will have the second largest nuclear sector in Asia, behind China, over the coming decade,” Su said. The Indian government had initially proposed to add 63GW of nuclear power capacity by 2032, but this figure was revised down to 22GW in 2018. Although the country has scaled back on its nuclear power expansion plans, there has been positive progress for several projects in the country. Fitch’s data indicate that two projects have reached financial closure and eight others are currently under construction. In March 2018, an agreement was signed between Nuclear Power Corporation of India Ltd (NPCIL) and Electricite de France (EDF) to develop the 9.9GW Jaitapur Nuclear Power Plant Project in Maharashtra. In addition, the government granted approval to develop 12 nuclear power reactors in the country, demonstrating its commitment to increase nuclear power capacity. “Despite substantial plans, we stress that high costs and high difficulty in implementation of nuclear projects means that we are cautious on long-term growth prospects. We believe high costs and difficult implementation will weigh on India's ambitious nuclear plans, posing a downside risk to the sector. As such, our Power Team currently forecasts the country to add only 4GW of nuclear energy over a ten-year period, lending support to our positive but cautious expectations of India’s nuclear power construction sector,” Su cautioned. Whilst more countries are turning to other renewables such as solar and wind, experts are cautious on their ability to supply Asia’s burgeoning power demand. “Countries in Asia should be looking to increase the amount of generation from both renewables and nuclear if they want to achieve a long-term sustainable energy mix,” Cobb noted. In Japan, for instance, high costs mean that the country will have no choice but to turn to LNG and coal in the absence of nuclear power. “They have tried to boost renewables, but wind and solar capacity has proven very expensive in Japan to date, and simply cannot offset the importance of imported LNG and coal. Hence why nuclear remains Japan’s go to sector to reduce fossil fuel imports, reduce electricity prices and curb carbon emissions,” Brenden noted, adding that whilst renewable energy will be the cheapest resource in Asia over the coming decade, the sector will not generate enough electricity to meet surging power demand in the region. 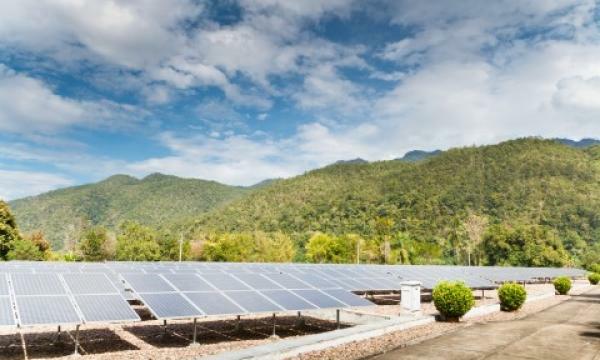 Fitch’s forecasts showed that total non-hydropower renewables capacity in the Asian region is expected to grow by more than 140% between end-2018 and 2028, with the solar sector set to emerge as the main driver of this growth. However, despite rapid renewables growth, the sector is only expected to grow its share in the Asian power generation mix from 8% in 2018 to 14% by 2028 given the low capacity factors of wind and solar power. “As a result, we maintain that a number of key Asian power markets remaining heavily reliant on coal-fired power generation to meet rapidly rising power demand, with renewable energy set to only play a relatively marginal role as a source of power mix diversification across the region. We do expect nuclear power to hold some appeal, as a cleaner source of baseload power generation. That said, increasingly stringent safety requirements makes it an unpalatable option in a number of emerging markets, whilst we also stress that cost increases tied to safety upgrades has curbed some of the nuclear growth boom in China as well,” Brenden said. On the issue of safety, Cobb highlighted that nuclear reactors in Asian countries have shown very good levels of safety. “They have also shown improving operational performance, with capacity factors at least the equal of those achieved worldwide. Many plants in Asia are achieving high capacity factors because they are very well run. Nuclear companies in Asia have developed a lot of experience in both operating and constructing nuclear power plants,” he said. Fully phasing out nuclear reactors may not be a feasible option for many countries across Asia. “I think nuclear power will remain important to energy-hungry power markets over the coming decade, simply because it is a cleaner source of baseload power generation. Whilst wind and solar power is cheap and grows rapidly, it simply isn’t growing fast enough to meet power demand,” Brenden noted. “This is why coal remains the main reliable and cheap baseload resource across the region. However, as pollution concerns grow in propensity, I think there will be a growing understanding that nuclear power still has a role to play in meeting power demand,” he said. “However, this would be contingent on continued cost deflation and growing acceptance of the technology (anti-nuclear sentiment is high across the region). As these two challenges will remain very substantial, we maintain that coal power will continue to grow in Asia,” Brenden added. Cobb stressed that nuclear energy is a cost-effective form of generation when considering the levelized cost of electricity. “But it is often the case that electricity markets are not supporting investment in large-scale projects such as new nuclear plants and reforms are needed to address these failings,” he said.